Sliquid Organics Gel is an ultra thick aloe-based personal lubricant from the multi-award winning Sliquid range of personal lubricants. 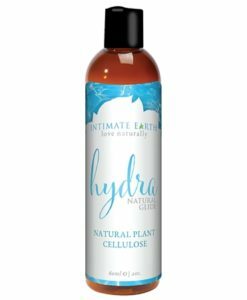 What is Sliquid Organics Aloe-Based Gel Personal Lubricant? 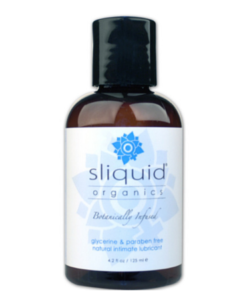 Sliquid Organics Gel Personal Lubricant is an ultra thick organic lubricant formulated designed to adhere to internal tissues and provide more cushioning than non-gel lubricants. Some women experience abrasion during intimacy with intimacy and Sliquid Organics gel helps to overcome this problem as well as avoiding potentially toxic and harmful chemical additives and preservatives. Who is Sliquid Organics Gel Suited to? Sliquid protects delicate tissues providing comfort and protection from burning and abrasion. Sliquid Organics Gel provides extra protection with glide for those with delicate tissues prone to abrasion and dryness. Sliquid is thickened with plant cellulose and designed to adhere once applied. 255 ml (8.5 fl oz) water-based personal lubricant with silicone infused with certified organic botanicals.